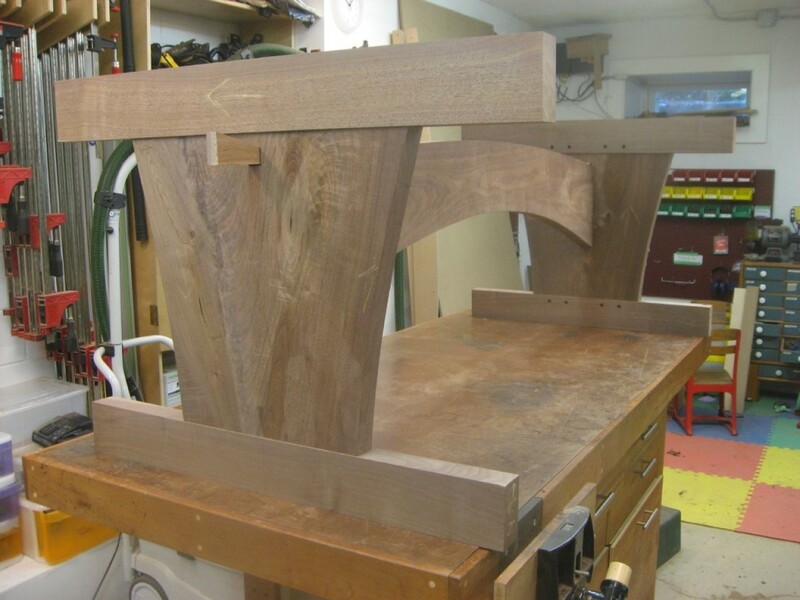 I created all the joinery while my pieces were flat and square. That’s some blocky header and footer! So now it’s time to final shape the header and footer before assembly. 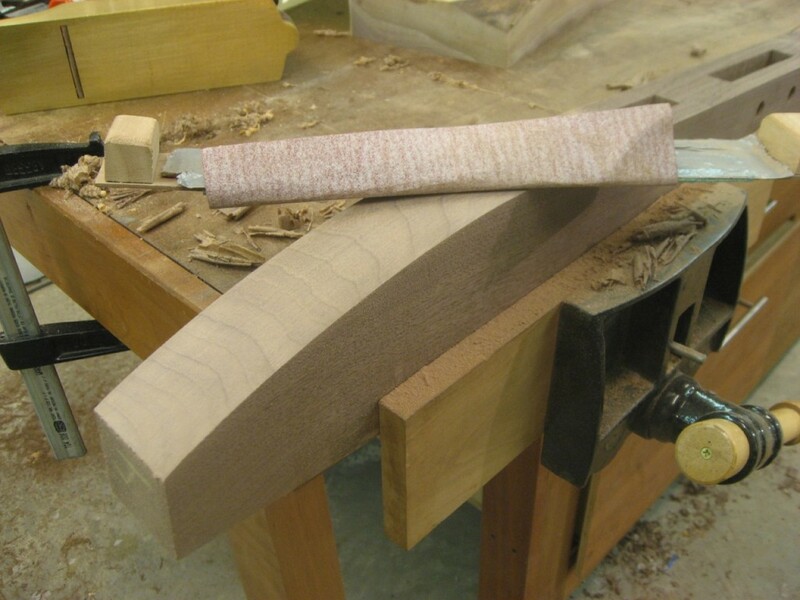 I cut the shape on the bandsaw and then started cleaning the convex curves with my Lie-Nielsen #4 1/2 handplane. 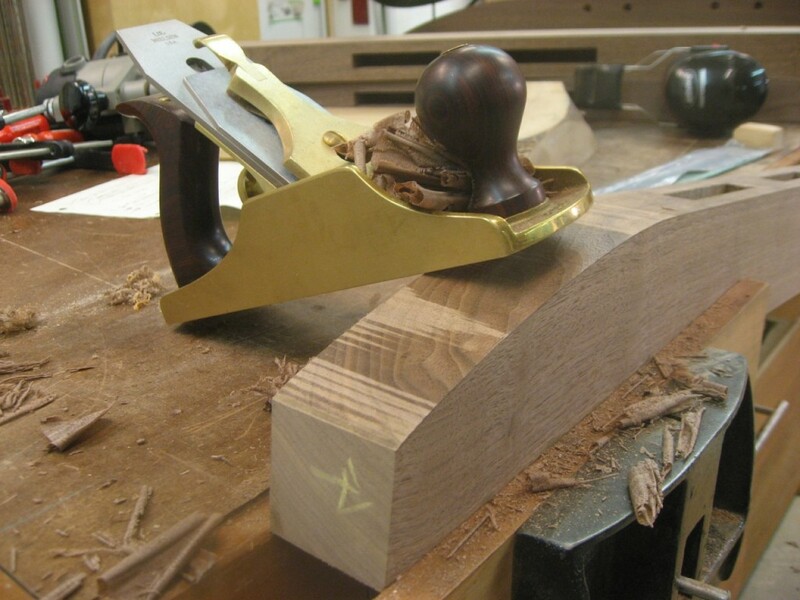 A little sanding with a flexible strip is all it takes to smooth out the curve. The header needs two cut-outs to allow the table slides to come through the leg, out the end, and support the leaf. These come out quick on the bandsaw. 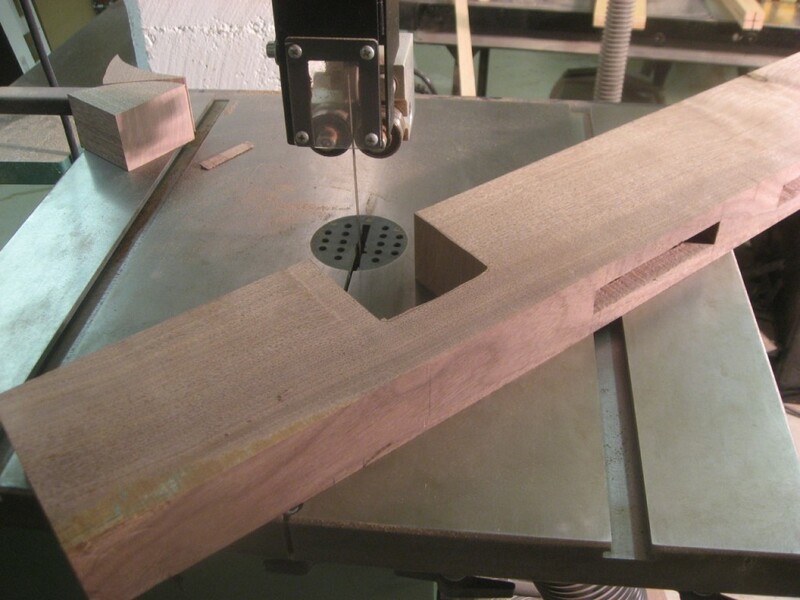 I use the bandsaw to make the cutout for the table slides. A little more shaping on the header and we’re ready to cleanup and assemble!